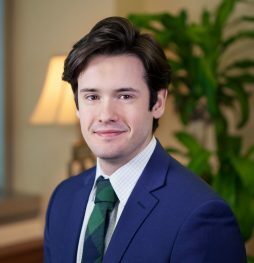 Kendrick serves as Legislative Assistant at McAllister & Quinn, where he provides research and analytical support to the firm’s healthcare, higher education institutions, associations, and public and private corporation clients. Kendrick conducts substantive issue research and analysis on legislative and policy matters and assists in business development. He also works with clients to identify and strategically pursue funding opportunities at both the federal and foundation levels. Kendrick closely monitors congressional and administration policy, tracks and evaluates relevant legislative and appropriations actions, and utilizes that information to help enhance grant-seeking and government relations efforts on behalf of clients. He also helps clients to coordinate and execute their Capitol Hill advocacy activities. Prior to joining McAllister & Quinn, Kendrick was Associate to the President and CEO of Fabiani & Company, where he helped clients through the entire lobbying and advocacy process, from signing a new client, providing them with policy and market research, to developing and implementing advocacy strategy on behalf of the client. He was also a policy intern in Washington State Senator Murray’s office, as well as at the Council of State Governments.